As your body begins to get older, it will start to face more and more complications. Many elderly individuals are consistently plagued with constipation, which can be painful and immensely annoying. Although there are some ways to rectify this problem, the majority of these methods are not fun or user-friendly. The enema method isn’t ideal for the majority of individuals. Also, some stool softeners are unnatural and potentially harmful. Thankfully, there are some natural alternatives, which will be able to provide you with relief. These will be explored in more depth below. 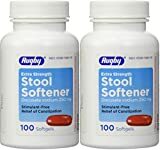 What Is A Stool Softener? When taking the time to explore a handful of these medications, you will find that they all serve the same purpose. They’re all specifically designed to help eliminate constipation. How do they work? Well, these products actually add moisture to your stool, which helps to soften it up to some degree. Once this has taken effect, you will be able to pass the stool much easier. It should be known that stool softeners are available in a handful of different forms, including tablet, liquid and capsule. Although these products are generally very safe, they can also cause some uncomforting side effects. In order to prevent yourself from experiencing these effects, you will need to follow the instructions precisely. When utilizing these products, you should make sure to drink plenty of water or other fluids on the day of use. This is imperative, because these products can lead to dehydration. Before utilizing one of these mixtures, you should step back and analyze your situation. If you’re suffering from any of the complications below, you will want to avoid using a stool softener. You may also wish to speak with a doctor, before consuming one of these medications. Breastfeeding and pregnant women should never use a stool softener, without speaking with their primary physician first! When it comes down to it, natural stool softeners are typically very safe and the majority of users will feel no negative side effects. However, there are some mild side effects, which could potentially occur. These will be listed below for your consideration. The majority of users will never experience any of these side effects. 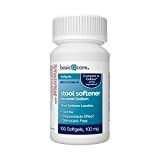 Now that you know everything you need to know about stool softeners, it is time to learn about some of the best products on the market. These will be explored in more depth below. If you’re looking for a reliable and incredibly safe stool softener, you should look no further than Naturo Sciences’ Colon Care. This company manufactures a handful of supplements and the majority of them are highly regarded. 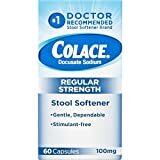 Their 100% all-natural Colon Care stool softener is no different! The product’s specifications will be explored in more depth below. This unique formula can provide the consumer with a handful of benefits. It is capable of cleaning out the user’s colon and will detox their entire body. It is capable of eliminating the waste from your body in a safe and natural manner. Once you have eradicated these harmful chemicals from your body, your energy levels will dramatically increase. The product is also capable of speeding up your metabolism. Not only is it great for cleaning out your system and softening your stool, but also it’ll help you slim down and lose weight. The product is specifically designed to help you remove all of the harmful chemicals from your body. It’ll restore your digestive system to normal and can help you fight off gas, diarrhea and constipation. All in all, Colon Care is an excellent product for anyone, who is suffering from constipation. Of course, the user will benefit in others ways as well. This helps to elevate the product to a whole new level. When suffering from constipation, a lot of consumers will reach out for some type of laxative. These products can be incredibly helpful and will usually provide the user with overnight relief. Of course, not all of these products are natural. If you demand a natural product, you should look no further than Senokot-S Natural Vegetable Laxative. This product will be explored in greater detail below. This particular laxative is entirely natural and is manufactured from vegetable products. It is specifically designed for those suffering from hard, dry stools. The medication’s combination of sennosides and docusate sodium is capable of rectifying the problem very quickly. It is recommended that you consume the product before heading to bed. In the morning, you will be able to go and will feel instant relief. Generally, this product will take effect within 6 to 12 hours. For added peace of mind, Senokot is low in sodium and is free of sugar. The product has been manufactured with the USP standards in mind. All in all, it’ll work great and it’ll work in a rapid manner. When it comes down to it, some individuals will want an all-natural laxative. If you fit into this category, you should definitely consider utilizing Senokot-S. The product is safe, reliable and vegetable based. In general, it will provide you with relief, within a period of 6 to 12 hours. When suffering from constipation, you’ll want to experience relief, as quickly as possible. This is where Advantalax enters the picture. This product is capable of softening your stool, providing you with relief and much more. Although it has not been FDA regulated, the product is manufactured in the United States. This will provide you with a little added peace of mind. Below, you will learn more about this highly effective laxative. There are a handful of natural laxatives on the market, but many of them fail to live up to the standards of Advantalax. This product offers the perfect combination of natural cleansing ingredients and probiotics. This mixture of ingredients will provide you with quick relief, while also blessing you with protection. Some stool softeners are a little too extreme and will force you to spend too long in the bathroom. Advantalax is different. It is capable of providing you with gentle results. The product doesn’t contain any harmful or dangerous artificial ingredients. This means you’ll be able to use it without concern. At the end of the day, Advantalax is an excellent remedy for occasional constipation. It is safe, gentle and effective. At the same time, the reassuring money back guarantee is very enticing. Be sure to check it out for yourself today! There are many excellent constipation remedies on the market and Senexon-S is definitely one of them. This product will provide you with relief and will do so in a safe and gentle manner. 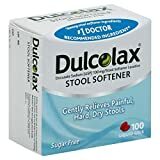 It works as a laxative and a stool softener to provide you with gentle relief and won’t force you to sit in the bathroom for hours on end. This product’s specifications will be explored below. First and foremost, you should recognize that Senexon-S is an all-natural laxative, which is manufactured from vegetables. This innovative formula is incredibly safe and doesn’t contain any harmful chemicals. The product works in two ways to help deliver relief quickly. The majority of users will be able to experience results within a matter of 6 hours! 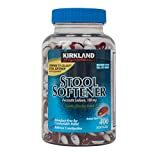 When utilizing this stool softener, you should make sure to consume it at bedtime. Adults and children over the age of 12 should consume 2 tablets each day. The medication uses a combination of Docusate sodium and Sennosides, which has proven to be incredibly effective time and again. When exploring Rugby Senexon-S, you will see that the product is truly beneficial. It doesn’t contain any harmful chemicals and can deliver results in just 6 hours. This combination makes the product incredibly difficult to ignore. Be sure to check it out for yourself today! 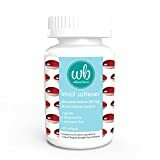 When attempting to find a reliable, safe and all-natural stool softener, you will want to find one that is vegetable based. Senna-Time fits this mold perfectly. The laxative isn’t just reliable and effective. It is also immensely affordable and won’t break the bank. Does this sound like something that sparks your interest? If so, you will want to learn more about the product, by reading the information provided below. Before moving any further, it is essential to take the time to explore this product’s specifications. When you do, you will see that this product is made from vegetables products. This helps to guarantee that you won’t be ingesting any harmful chemicals, as none are present. The product is manufactured to provide the user with quick and gentle relief. Typically, Senna-Time can deliver relief within a matter of 6 to 12 hours. Be sure to consume it before bedtime and always read the directions for reliable results. All in all, Senna-Time is a highly effective product, which is also incredibly safe. It is also affordable. 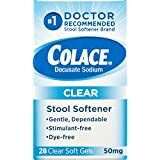 If you’re looking for a natural and safe stool softener, you should definitely check out this product today!